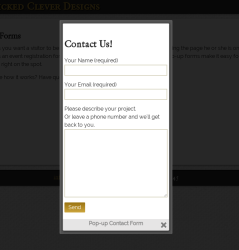 Sometimes you want a visitor to be able to fill out and submit a form without leaving the page he or she is on. Perhaps it’s an event registration form, or a sign-up form for a mailing list. 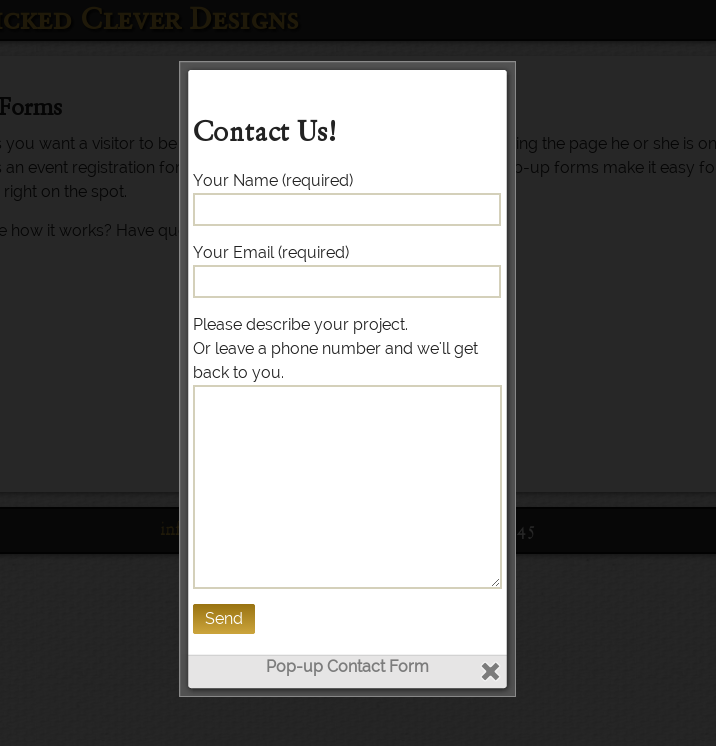 Our pop-up forms make it easy for users to connect, right on the spot. Want to see how it works? Have questions?